Professor Bartel and his wife, Sharon, are natives of Northwestern Montana. Sharon grew up in Polson, Montana. LeRoy was born and raised in Ronan, Montana (a little town of 1200 people). They will have been married for 47 years this year (anniversary May 12) and have four children, six grandchildren and four great-grandchildren. Three of their children are adopted Native Americans. Dr. Bartel enjoys reading, running (having run several marathons), hiking in the mountains, a good cup of coffee (Northwest style), and “food with an attitude” (Spicy Thai and Mexican food). Dr. Bartel received his bachelor’s degree from Trinity Bible College, Ellendale ND (1964,1982) and a master of divinity degree and doctorate from the Assemblies of God Theological Seminary, Springfield, MO. (1984 and 2004) His wife, Sharon is a graduate of St. Patrick School of Nursing in Missoula, MT and Southwestern Assemblies of God University. She has served as a registered nurse in a variety of roles for many years (including campus nurse at SAGU). Recently she served on staff at Columbia Heights Assembly as a Parish Nurse where Dr. Bartel was pastor and she presently serves as a hospice nurse. The Bartels have pastored churches in North Dakota, South Dakota, Minnesota and Washington (Valley City, ND; Winner, SD; Wadena, MN; Sisseton, SD; Ellendale, ND and Longview, WA) for over 20 years. Dr. Bartel served the Assemblies of God as a denominational officer for 5 years. He held the position of National Director for the Division of Christian Education and the first Commissioner on Discipleship. As National Director he provided leadership for the Sunday School Department, Church School Literature, Children’s Ministries Agency, Christian School Department, and Single Adult Ministries Agency. As Commissioner on Discipleship, Rev Bartel helped coordinate all of the discipleship initiatives, ministries and agencies of the Assemblies of God in a networking relationship. 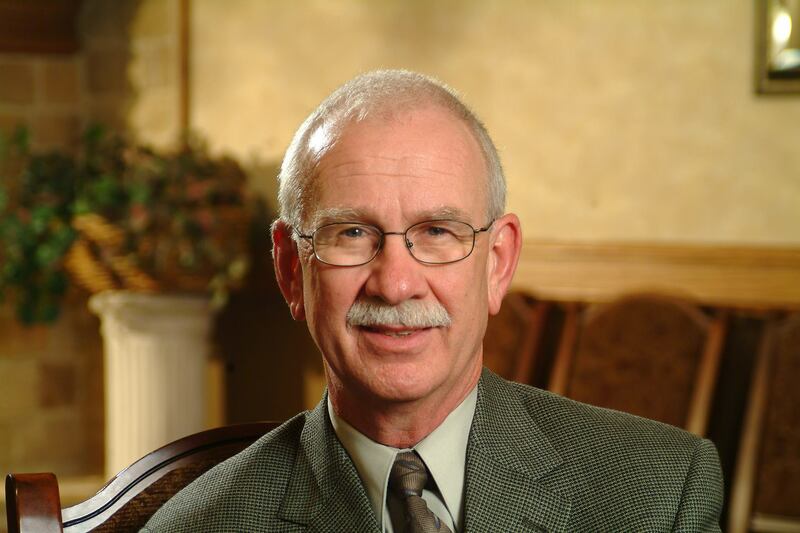 Dr. Bartel presently serves as Dean of the College of Bible and Church Ministries at Southwestern Assemblies of God University, Waxahachie, TX., accredited with Southern Association of Colleges and Schools. Bartel has served in a variety of roles at the University over the past 30 years: As a professor he has functioned as Coordinator of Christian Education, Coordinator of Pastoral Ministries and chair for the Division of Bible, Theology and Church Ministries. As an administrator at Southwestern he served as Vice President for Student Life. Dr. Bartel travels extensively at home and abroad speaking for conferences, seminars, camps and special events. He has written numerous articles, curriculum, and chapters for a variety of books. Most recently he authored The Prison Epistles: An Independent-Study Textbook published by Global University and a part of the credentialing study series for Berean School of the Bible. Dr. Bartel’s passions are expressed in his 7 core values (see reverse side of this document). He is deeply committed to the essential mission of the Church to “make disciples of all nations (peoples), teaching ministry, the study and accurate interpretation of Scripture, the leadership of the Holy Spirit in all things (“living by the nudge”) and the importance of daily devotions to his personal life and ministry (he refers to it as “coffee with the Lord”).